Food gives us pleasure and we need to eat treats once in awhile. We can’t go through life without eating a warm chocolate chip cookie or a piece of cake. Treats should be special and only given on special occasions such as birthdays or holidays. Treats aren’t meant for everyday. When indulging in a treat, it should be made at home. Store bought cakes and pastries are loaded with extra sugar and poor quality oils. Make a treat truly special by making it yourself! 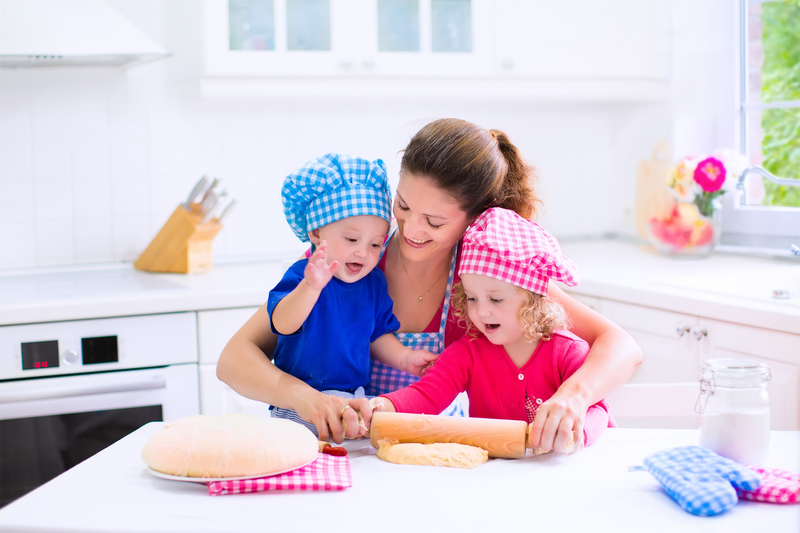 It’s also fun to get the children involved with baking and you can introduce the concept of home cooked meals early. A child should never be given a treat or a sip of juice when he or she is upset or hurt. A toddler who is given a treat to calm down is comforted by the sweet taste. This can actually cause changes in the brain that can have major consequences in adolescence and adulthood. We have a dopamine pathway in our brains that leads to the release of endorphins and when we eat comfort food endorphins are released. When endorphins are released, a soothing outcome occurs. Eventually, the habit of eating something sweet to comfort oneself becomes a harmful, ingrained habit. Instead, when a child is hurt or frustrated kisses and comforting words are much better solution. We need to train ourselves to find substitutes for the situations involving treats. It may take some creativity to not reach for a piece of candy or cookie but it is something we can easily unlearn. Substitutions for a treat should not come from artificial sweeteners and other so-called “healthier” options. Treats should be special so you shouldn’t be eating them every day. If you are going to make a cake for your child’s birthday, you should use real ingredients because it only happens once a year! Your child isn’t going to become obese from eating their own birthday cake because they aren’t eating the extra calories on a regular basis. My family loves homemade desserts and I have several favorites that I share in my book, The Step Up Diet. You don’t have to deprive yourself of tasty treats – just save them for special occasions AND make them yourself to avoid the extra sugar and low-quality oils that contribute to our obesity problems.